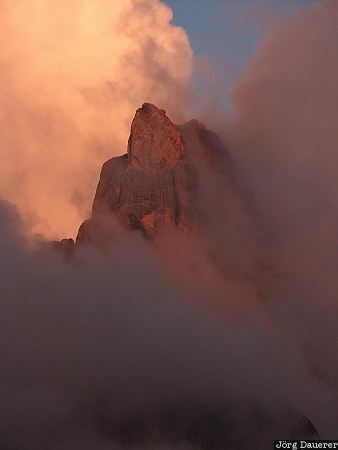 The Pala di San Martino in the Dolomite Alps glowing in the last light of the day, seen from Passo di Rolle. Passo die Rolle is in the province Trentino in northern Italy. This photo was taken on the evening of a sunny day in September of 2002. This photo was taken with a digital camera.